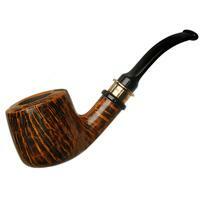 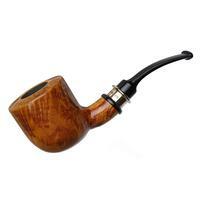 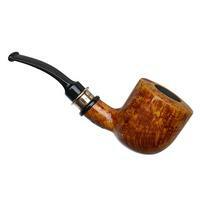 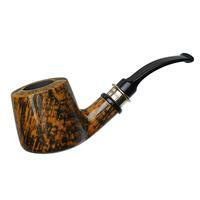 A thick-walled, subtly bent Billiard, the "1957" shape is named from Erik Stokkebye's favorite tobacco blend. 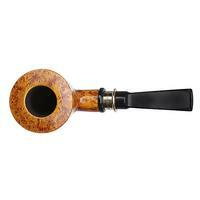 It boasts a bowl-heavy use of visual weight, with the shank and stem curling diminutively out back. 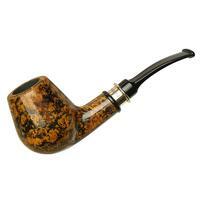 As part of the Vintage Natural line, it's dressed in a vivid, honey blonde stain, replete with a copper-toned accent. Bowl Height: 1.98 in./50.24 mm. 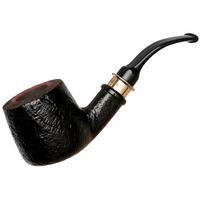 Chamber Depth: 1.51 in./38.24 mm. 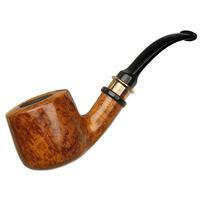 Chamber Diameter: 0.83 in./21.14 mm. 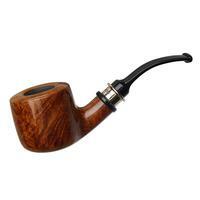 Outside Diameter: 1.77 in./44.95 mm.